When a school committed to innovation joins forces with a team of acclaimed artists the impact is exponential. 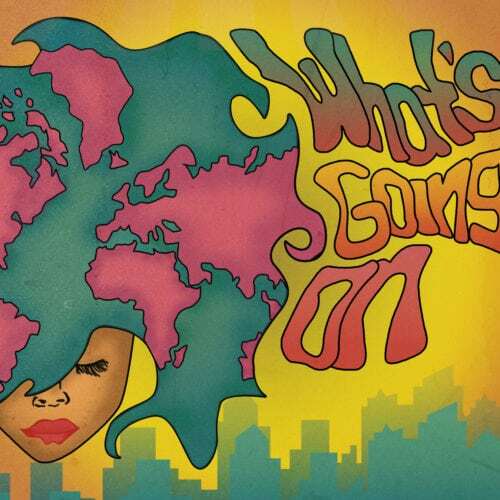 “What’s Going On” was LiveConnections’ second songwriting and album-producing project with Philadelphia public high school Hill-Freedman World Academy and our third with music technology teacher Ezechial Thurman. 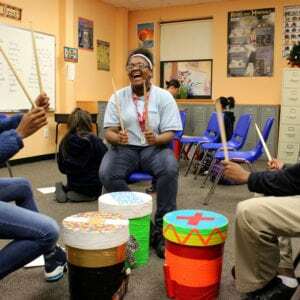 The collaboration provided unique opportunities for students to experience world-class music and create their own songs in response to what’s going on in their lives. 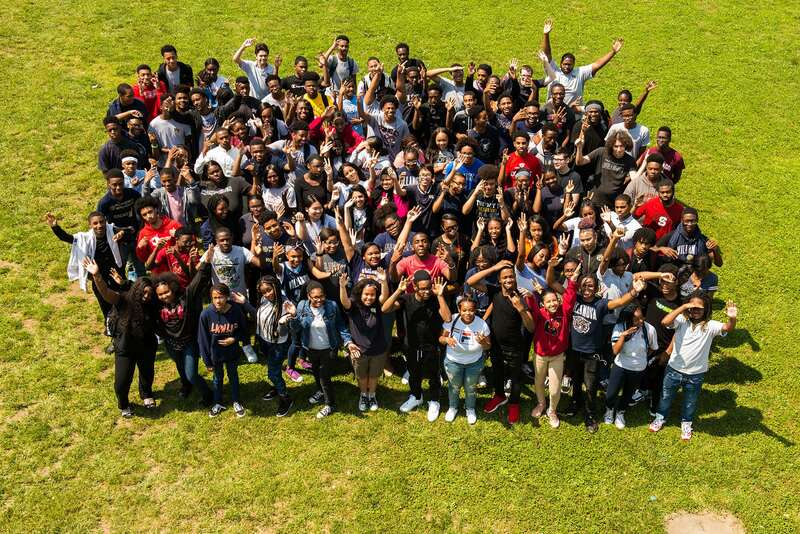 As part of Hill-Freedman’s International Baccalaureate curriculum, the entire 10th and 11th grades spent the year examining the songs and artistry of Motown, how music helps shape culture and how their own creative risk-taking could provoke positive change in the world. 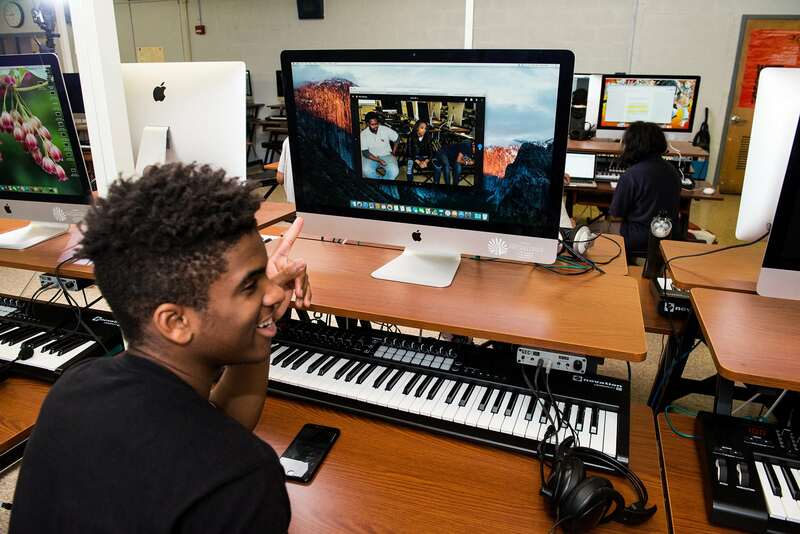 Working in the school’s music technology lab, students explored computer-based music production, composition and songwriting under the leadership of Mr.Thurman. They were joined in the lab for weekly sessions in poetry, lyric writing and music production with LiveConnections teaching artists Luke Carlos O’Reilly, Yolanda Wisher, Kristal “Tytewriter” Oliver and Andrew Lipke, and had opportunities to collaborate with additional musicians in the songwriting and recording process. 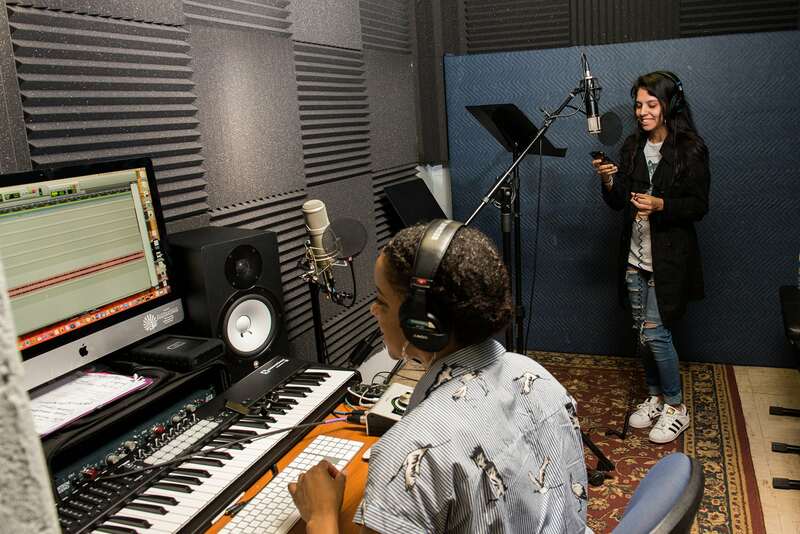 The year-long collaboration culminated in June 2018 with the release of WHAT’S GOING ON by the school’s student-led record label Hill-Freedman Records. 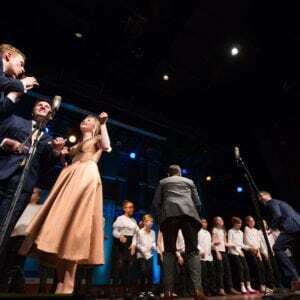 The album features 23 student-written songs and one Motown cover, with half the songs fully student-produced. 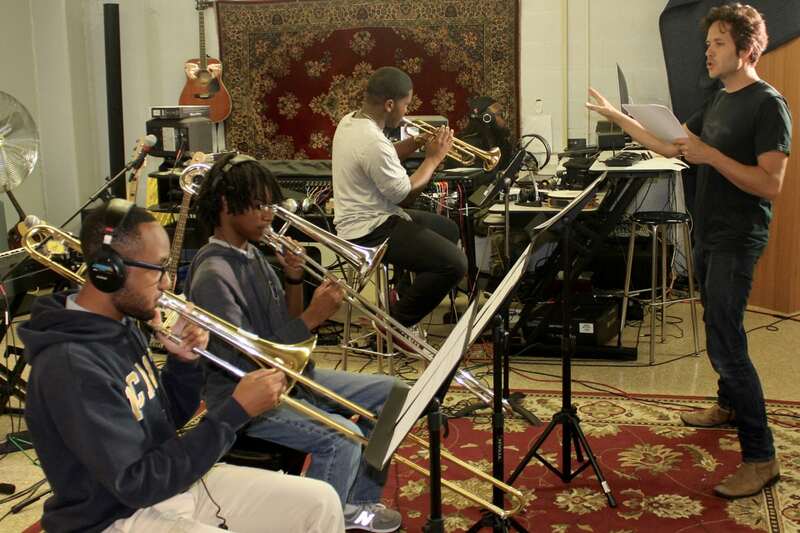 The students were influenced both by Motown and contemporary music, and the songs take on themes of love, personal struggle, and important issues in the world today. 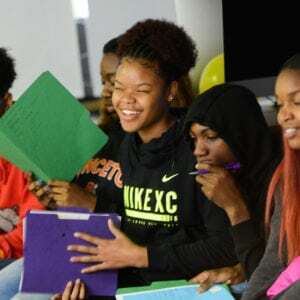 Hill-Freedman World Academy is a special admission middle and high school in Northwest Philadelphia under the umbrella of the International Baccalaureate Middle Years and Diploma Programme. They proudly serve students with a variety of backgrounds, talents, and needs. Hill-Freedman World Academy provides a rigorous academic environment that inspires individuality and fosters lifelong learners who are committed to being knowledgeable, caring, internationally-minded global citizens. Hill-Freedman is a school where “All Means All” and where students are challenged and encouraged to develop their talents, even those yet to be discovered. Musicians: Mario Crew (drums), Julian Harris (guitar), Andrew Lipke (guitar, bass), Anwar Marshall (drums), Kristal Oliver (backing vocals), Luke Carlos O’Reilly (keys), Ben O’Neill (guitar), Nimrod Speaks (bass). Album engineered and mixed by Julian Harris, Andrew Lipke and Kristal Oliver. Mastered by Julian Harris. 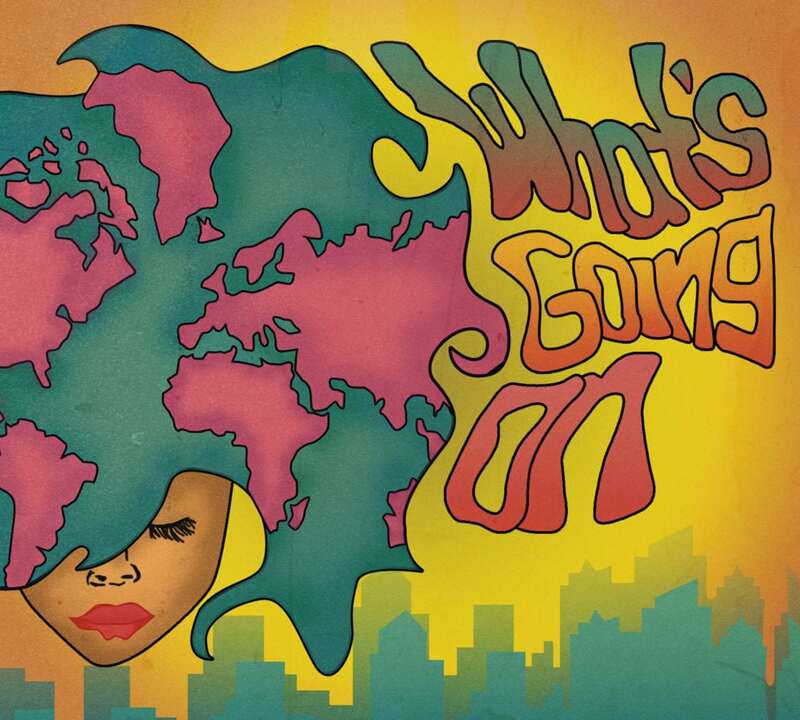 Album cover art by Aniya Addison, 12th grade, Hill-Freedman World Academy. 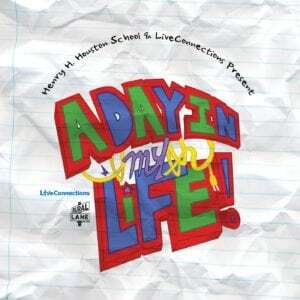 “What’s Going On” was made possible with support from: The School District of Philadelphia; The Philadelphia Cultural Fund; Philadelphia City Council members Allan Domb (At-Large) and Cherelle L. Parker (9th District); The NBCUniversal Foundation, NBC10 and Telemundo62; Patricia Kind Family Foundation; The Scholler Foundation and The Seybert Foundation.